In April, the 2018 Fred Amphitheater Concert Season sponsored by Butler Lexus of South Atlanta kicked off with a performance from the Commodores and Fred fans were introduced to the high energy upbeat party music of Bogey and the Viceroy, the show’s opening act. Every fan was on their feet dancing for the entire set. After the show, Fred fans took to social media and called the venue requesting that we bring the band back for a feature show. New Orleans native Bogey Thornton and the handsome troubadours of the Viceroy cover classic soul from every era, adds in a heaping dose of retro rock and pop and top it off with a mix of today’s current chart-toppers. 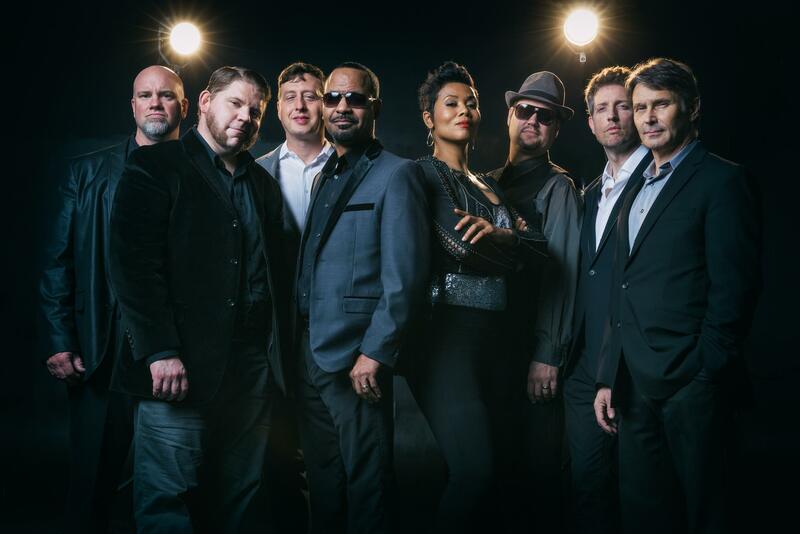 At center stage is the energetic presence and stellar vocals of Bogey who is backed by a dynamic 8-piece band featuring a horn section and female backing vocalist. Mark your calendars, grab your friends and get to the Fred for a night of “Swanky Soul and Rock n Roll” for our season end party! Tickets are now on sale. Ticket prices are: Gold or Belgard Table – $300 (table of 6); Picnic Table – $270 (table of 6; additional seats per table available); Reserved $30 – $35; Lawn $25.00. Tickets may be purchased through the Fred’s website at www.amphitheater.org or by phone at 877-725-8849. The Fred’s box office will have limited hours this season, please visit our website to view these hours.